A study done to assess whether exercise would have effects on the prevalence of diabetes among those who are at the highest risk of the disease (black women) has proven that it does indeed have a preventative effect. This is great news for all of us, as if exercise can prevent diabetes in those at highest risk it obviously also has an even greater positive effect on all others. “Taking a brisk walk several times a week for exercise appears to reduce black women’s risk of developing type 2 diabetes, according to a study published this month in the American Journal of Epidemiology , Reuters Health reports. Few studies have been conducted on the benefits of exercise among black women, according to Reuters . For the study, Julie Palmer of Boston University and colleagues used data from the ongoing Black Women’s Health Study that followed 45,000 black women from 1995 to 2005. Researchers found that those who said they walked for a minimum of five hours weekly for exercise were one-third less likely to develop type 2 diabetes than those who did not walk. The risk of being diagnosed with the disease was significantly lower among women who said they regularly took a brisk walk even when taking into account possible contributing factors such as age, income and diet. The study included a large number of obese women and they too appeared to have a lower risk for developing diabetes if they exercised regularly. For those of you who just can’t seem to get motivated to exercise, We might have an answer for you HERE, to get started join the Vibrational Fitness and Health – Vibrational Weight Loss Program and get started the easy way. Scientists at the University of Michegan have found that it only takes one, yes 1 exercise session to kick start your metabolism. Giving hope to millions of overweight and obese individuals this makes every session seem worthwhile. At times, when you are over weight all the exercise and lifestyle dietary changes can seem to be useless, it can be so difficult to keep your motivation up and your pain levels down when beginning and continuing on your weight loss and health journey. Yet, this news gives all of us hope. Most weight related issues are now known to be caused by metabolic disorders such as insulin and leptin resistance, and the lifestyle changes needed to prevent many of the diseases associated with these health challenges can be a bit daunting. 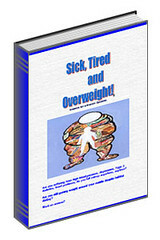 They are simple changes, but not always easy as one of the challenges of this kind of metabolic syndrome is depression. If you would like to be a part of our exciting November launch of our NEW Lifestyle Approach to a slimmer, healthier you the, Wam Vibr-Slim Program please keep a look out for our announcment, right here on this blog or on the website which can be found by clicking on the Wam Logo.